In most cases, the prospect of divorce seems like the end of a relationship, and in the vast majority of instances, this is true. However, you may be surprised to find that for certain couples divorce serves as the stepping stone that ultimately turns the relationship around for the better. The majority of marriages in Florida and across the country that end in divorce do so because the spouses believe the marriage is irretrievably broken. This means that they believe the marriage has no hope and it can not be fixed. Oddly enough, in some cases relationships that were perceived to be irretrievably broken can seemingly be repaired by divorce. The exact reason as to why couples change their path is not certain, and there are not statistics to suggest how common this occurs, but it does happen. Certain couples credit the rekindling of their relationship after divorce to the time apart and the healing it can bring. Others believe the separation allowed them to forgive and try new things, which ultimately led them back to their ex-spouse. The reality is marriage is hard no matter who you are, and sometimes it takes a divorce to realize that the problems experienced during the marriage were not the other person’s fault. It is common to see couples on the brink of divorce ultimately reconcile once the proceedings begin. In fact, it is common for the act of filing for divorce to be enough to save a marriage. In certain cases, one of the spouses may file for divorce simply as a wake-up call for major issues that need addressing. And although this is a drastic measure, there are instances where this can be effective. Florida law offers a lifeline of sorts for individuals whose spouse has filed for divorce but they still have hope to save the marriage. If a spouse files for divorce and cites that the marriage is irretrievably broken, the other spouse who still has hope may deny that the marriage is irretrievably broken and request that the couple participate in marriage counseling instead. The judge in the case can order the couple to do counseling while the divorce proceedings are put on hold. If the counseling does not solve the issues then the couple will be allowed to move forward towards divorce. Once a divorce is finalized, there is nothing in Florida law preventing the individuals from remarrying. After the divorce, they are free to marry whomever they want, including each other. The only issue that may arise is if the couple had a prenuptial agreement in the first marriage. You will need to speak with your attorney to determine if the stipulations of the prenup after divorce are still valid and how they will be implemented in the new marriage. Regardless of where you are in the divorce process, a family law attorney can be of great help as you examine your options. Your attorney can act as an unbiased party who will lay out exactly what courses of actions you may take to proceed to divorce. In the event that you choose that divorce is your best option, your attorney will stand by your side and advocate on your behalf. 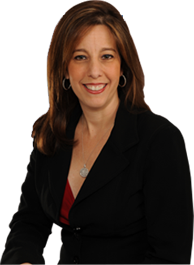 If you are in need of representation, contact Fort Lauderdale family law attorney Sandra Bonfiglio. You will receive effective counsel in your time of need and you will enjoy peace of mind knowing you are making informed decisions. Call today to schedule a free consultation.